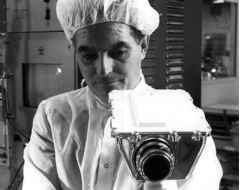 and-white television from Ap°n° 8, Engineer Stan Lebar with the black and white which brought pictures of a distant TV camera like that used for Apollo 11. Earth and the Moon's dramatic terminator to the public sold the idea to NASA. These events drew massive audiences from around the world and NASA soon realised that TV could play an important role in shaping how history would remember Apollo. A few months prior to the historic moonwalk by Armstrong and Aldrin, NASA had intended to send them to the surface with only a 16-mm movie camera and an amount of film that was insufficient to record the entire moonwalk. Max Faget, one of the spacecraft designers, described it as "almost unbelievable [that the mission] is to be recorded in such a stingy manner''. Thus, the pendulum swung towards acceptance of the technology in the spacecraft and on the lunar surface. The commander of Apollo 10, Tom Stafford, embraced the idea of TV from a spacecraft and helped to push the development of a colour TV camera that allowed him and his crew to make regular transmissions from their orbit around the Moon, further raising the importance of television in the minds of crews and managers. Despite this acceptance, the frantic pace of flight development and the difficulty of developing a lightweight colour camera for the harsh conditions on the lunar surface meant that Apollo 11's Eagle took only a simple black-and-white TV camera to Tranquillity Base while a colour unit stayed in the comfy warmth of the command module. The lesson had been learned, and from Apollo 12 onwards, colour TV cameras were taken to the Moon's surface. 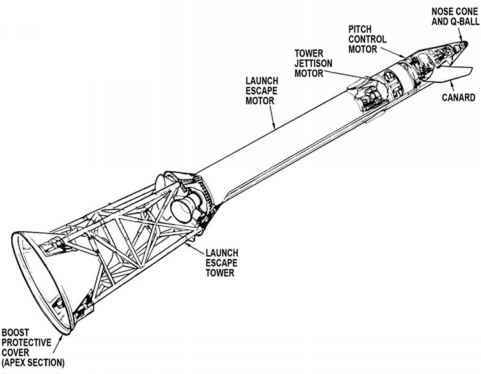 To get television back to Earth, a part of the bandwidth in Apollo's radio system was set aside for auxiliary signals, be it scientific data, recorded onboard data or television. The implementation of television technology was very different between the black-and-white and the colour systems, though both used the auxiliary communications channel. approximation, the US television system of the late twentieth century had 60 fields per second of 262.5 lines per field, or 30 frames per second of 525 lines per frame, though not all of those lines carried imagery.